Steller sea lions have light to reddish brown fur, long white whiskers and broad flippers to help them navigate through the water. Male Steller sea lions can weigh up to 2,500 pounds and grow to 10 feet in length. Females, while smaller, can still weigh up to 770 pounds. 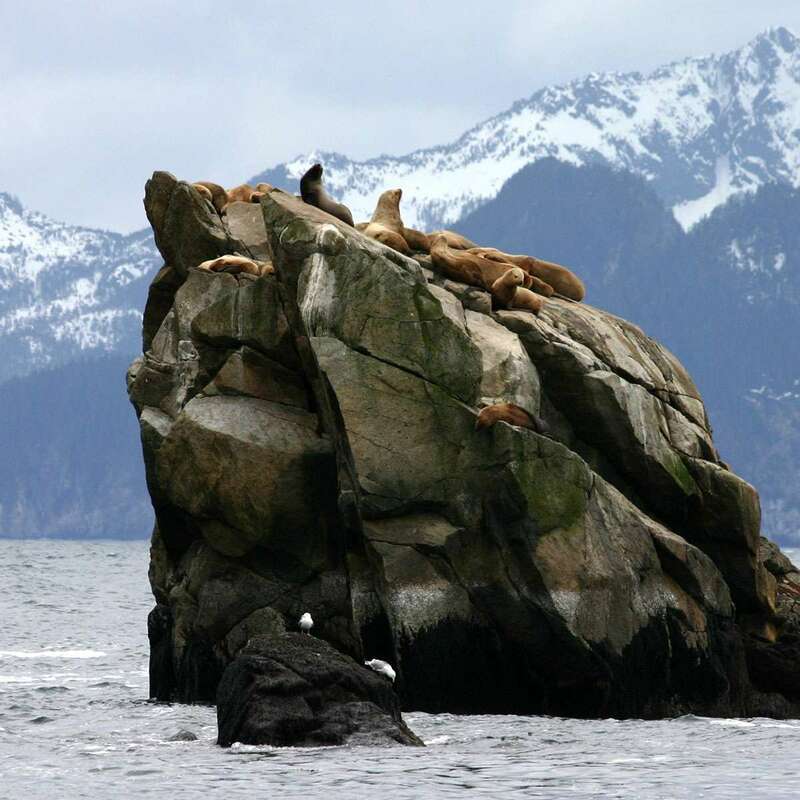 Steller sea lions can often be found in large groups at beaches, ledges and cliffs along sub-arctic waters. Their time on land is used for resting or pupping, and they spend time in the ocean, primarily at night, to hunt for fish, squid and other sustenance. Steller sea lions are found along the coasts of the North Pacific Ocean, ranging from Japan to Alaska and south to California. The western population, located in Alaska and extending toward Asia, is listed as threatened. The eastern population, primarily in Oregon and Washington, has been delisted due to recovery. When the Steller sea lion was listed as threatened in 1990, its population had declined by over 80 percent in 30 years. 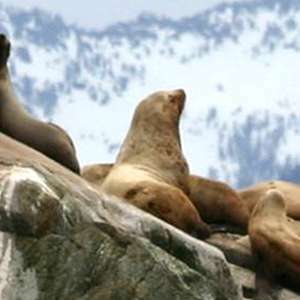 Human activities, including habitat degradation, boat strikes, fishing and illegal hunting, continue to diminish Steller sea lion populations. Scientists are continuing to monitor and study major threats and potential mitigation measures affecting Steller sea lions, including comprehensive fishery management measures implemented in the late 1990s that seem to have helped stabilize their populations. Take action to protect Katmai National Park & Preserve.